Are you looking for a Free Adwords Coupon, Australia? Yes, aren’t we all. 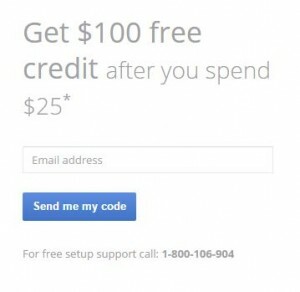 You’ll find cheap hosting companies like iPage and Bluehost will offer a few different marketing bonuses to sweeten the deal with a Free $100 Bing and Google Adwords Coupon but it’s not until you read the fine print that you realise it’s only if you live in the US or Canada, which leaves more than 80% of the world without any free coupon love. That is until now. If you are living in Australia and are looking for your free Australian Adwords Voucher then you are in luck because you just need to know where to look. Of course, Google Adwords isn’t going to make it easy for you, but if you are new to AdWords then this voucher is worth claiming. Now if you’re outside of Australia, US and Canada you can try replacing ‘.com.au’ with your country and see if that works. For instance if you are using Google UK, try http://www.google.co.uk/adwords/coupons as it worked for me and it might just work for you. Although, I noticed your offer was 75 quid so Yay! for you. I’d like to hear if your coupon code URL worked in your country so please share or comment below. So what are you going to do with all that free credit? Well, as I eluded to earlier you can blow it like you are at the casino or spend some time researching AdWords first. My preference is the latter and here’s why. The newbie mistake with Adwords is to make a Google Ad and then simply hit publish without too much thought about your target audience. Before you know it, you’ve blown $100 bucks and didn’t learn anything from the process. It’s much smarter to test, test and test again. It’s known as A/B testing so you’ll at least need a couple of subtle variations of your ad so you can test one against the other. Essentially, you run both tests and discard the one that wasn’t performing as well. Then subtly change the better performing Ad and test again. Now, rinse and repeat until you’ve spent your remaining credit and what you’ll be left with is a solid Adwords Ad that you’ll be happy to spend real money on. Remember the click throughs will happen, it’s the intent of the user clicking through that’s more important. There shouldn’t be any tricks in your Ad Copy because you’re paying for those clicks, and just hoping your web page copy is going to make the conversion is like blue sky mining. If the users intent isn’t there in the first place you’ve wasted some perfectly good Adwords credit. Now, some may disagree and everyone has their own ideas, what works and what doesn’t is subjective but performing A/B testing is a must and should be fully explored. You’ve got the free Adwords Coupon so use it wisely and at least feel like you’ve learnt something while using it. Now, if you can make $10 while only spending $9 then you’ve got a great business model. Your next challenge will be to improve the conversion rates and then scale it up. Good Luck, and remember to share this page so everyone will know how they can get a Free Adwords Coupon to play with, regardless of their country of origin. 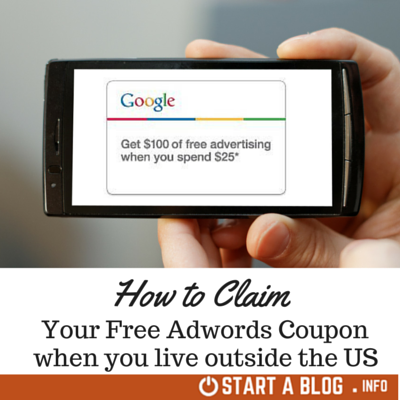 Share the post "Are you looking for a Free Adwords Coupon, Australia?" Should you start a blog or not? Are you being mislead with Free Blog Hosting?